Last month I received the ULTIMATE Oval Loom Knitting Set from Leisure Arts, Inc. to try and I immediately opened the package and flipped through the Beginner’s Guide – Oval Loom Knitting to take a look at what projects I could make. The set is recommended for Ages 8 and up. The Small Loom is 11 3/4″ x 5 1/2″ with 54 pegs and the Large Loom is 15 1/2″ x 9 3/8″ with 70 pegs. 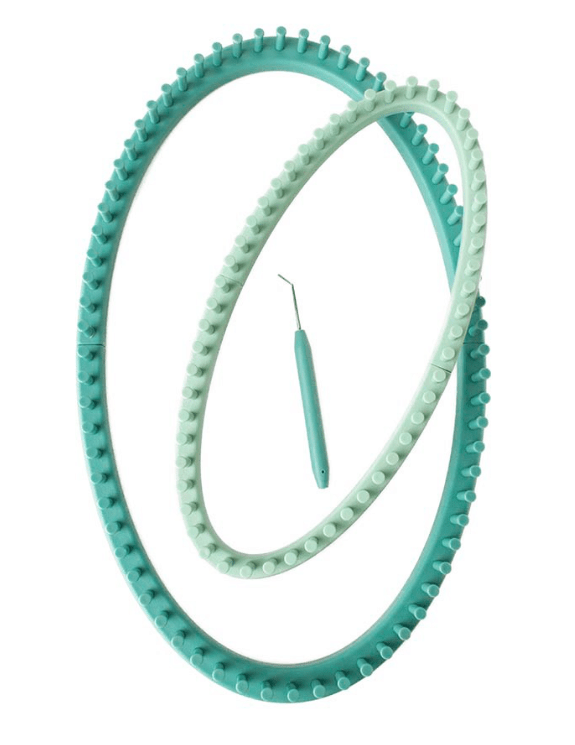 The Stitching Tool is fantastic and makes quick work of moving the loops to their required positions. First time #loomknitting Have you tried the new oval looms from @leisurearts ? This could become a new hobby for me! Love it !! 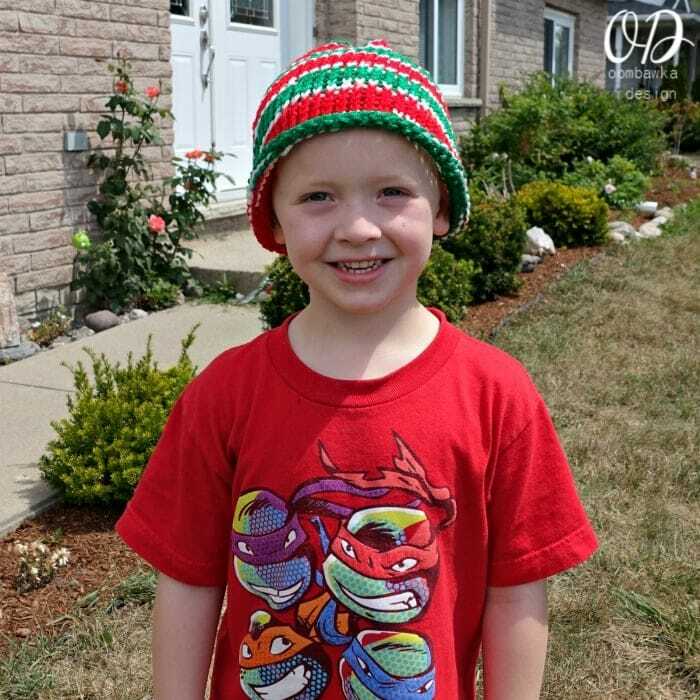 He loves it and it was hard to convince him it might not be the best hat choice in 40 degree weather! 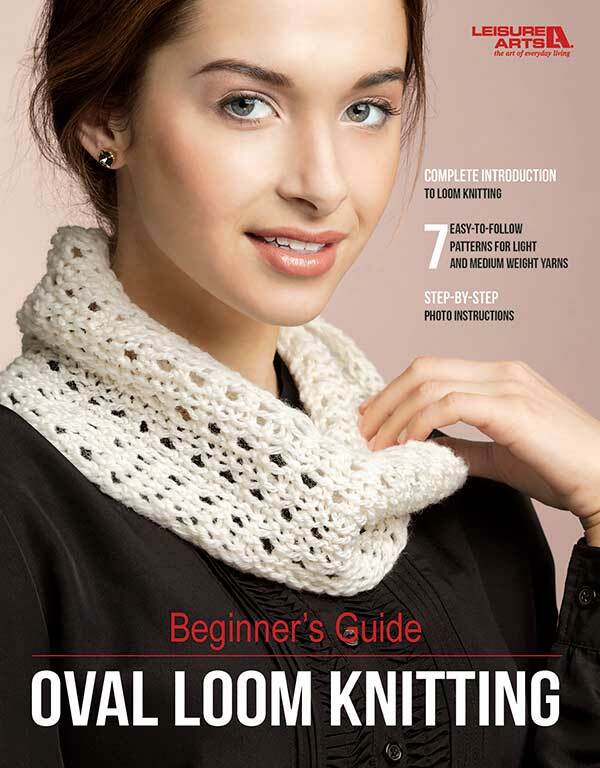 The booklet I received with the set, Beginner’s Guide – Oval Loom Knitting is a fantastic resource. Not only does it include technique videos for the different techniques: E-Wrap Cast On, E-Wrap Knit Stitch, Gathered Removal, Knit Stitch, Changing Colors, Simple Bind Off, Purl Stitch, Left Decrease, Right Decrease, Weave and Skipping a Peg, it also includes step-by-step photo support for each. I personally recommend, if you have never loom knit before, that you treat this book and the patterns within it as a ‘beginner’s course‘ to learn how to loom knit. 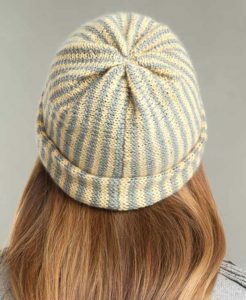 Start at the beginning with the Basic Beanie and work through the projects. It will give you the confidence to complete the more difficult patterns (i.e. 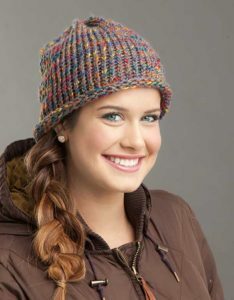 Lace Cowl is an Intermediate Pattern). I really enjoyed using the looms and I want to make more projects – I especially want to try the Family Tube Socks – I find the loom requires less yarn than when I crochet and I think the socks will be extremely comfortable for my children in their winter boots! Not bulky like crochet socks often are. 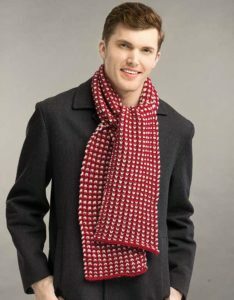 I also like the variety of projects included – there are quite a few you can use to make gifts for men. The projects all require either worsted weight or lightweight yarn – which means we can use some of our yarn stash to make the projects! I didn’t realize how many Loom Knitting Resources and Tools Leisure Arts had until I went to see what other items were available. 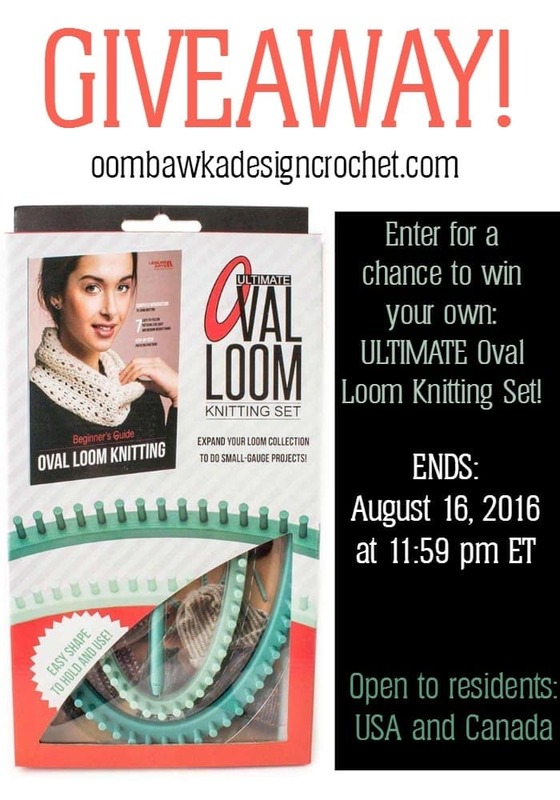 Would you like to enter for a chance to win your own Ultimate Oval Loom Knitting Set? Well you can! I’d like to thank Leisure Arts, Inc. for providing me with the review copy of ULTIMATE Oval Loom Knitting Set and for offering a 2nd Ultimate Oval Loom Knitting Set to be gifted to one of my readers in the United States or Canada. All images are used with permission from Leisure Arts, Inc. For more information about Leisure Arts, Inc. visit their Website, Facebook, YouTube or Twitter! Hi Nancy, are you using the right weight yarn and the correct loom for the pattern? I know that there are different looms for different size projects – and the weight of yarn really makes a difference with the looms. I tried going down a yarn level with my one project from Medium Weight to Light Weight and it ended up totally misshapen – even though it was large enough it was super holey. 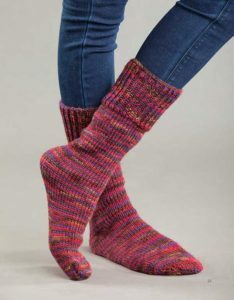 Could you help, im trying to make the tube sock. I feel like im doing some thing wrong. Ive been working the 46 pegs like the pattern calls for it looks like its ng to be awfully large in diameter though. I bought my Oval Loom knitting set and the small loom have some of the pegs crooked, as in the space to put the tool is on the side instead of facing forward. I was just wondering if there was a way to straighten them. I really like the Large loom, I have been looking for a small peg non long loom for the mid/light yarns. Thanks for listening to me I hope there is a way to fix the few pegs. Thank you for your review. Did you finish the cowl or let the frog have it?? I am trying to work up the nerve to attempt knitting, on my own. My mom tried to teach me as a child but it didn’t stick. Perhaps this is a better way to ease myself into knitting? It sounds intriguing! I love this book and actually won it on anither site cant wait to use it!! Sock loom basics has me intrigued so I will go with that one. Thanks so much. I would like you to review the Ice Box Crochet or Quick ITTY BITTIES. I vote for the Complete Guide to Symbol Crochet, please review. I need more instruction hope this helps. Yes, I also want to win the loom. I would love to win this loom set!!! I use looms to knit, along with needles. I also crochet. I just plain love working with yarn. I know how to knit as well and I can fix an error, but I find it more stressful and less natural that crochet. That being said, I love some of the designs that are knit and maybe this is one way to do that! I’d like to know more about making toys…”Learn to Crochet Toys” looks fun. Have you tried tunisian crochet? Leisure Arts has a Tunisian Crochet Baby Blanket book that you could perhaps review and share your thought! I would love to get one of these kits they look so easy to make and I’m not to good with knitting other than small things and just squares or scarfs. Thanks for sharing I will have to check these out. I would love to see a review of BLANKETS FOR TODDLERS. I’m alway on the look out for toddler patterns. Thank you for offering this giveaway. I’d love to see a review on the Big Book of Baby Afghans that’s on the Leisure Arts site. Loom knitting is so easy. I love the new size loom. I’d love to win giveaway. Thanks for the chance. This is great to know! I’ve used round looms for years but never had any guides (other than instructions included) and have always wanted to be able to make more things with my looms! I would love to see you review Scarves and Cowls Crochet. I can’t get enough of scarves and cowls. How about “Hug It Out” by Drew Emborsky (a/k/a “The Crochet Dude”)? 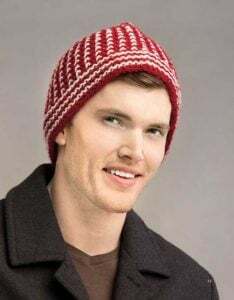 It includes 10 crochet patterns, all intended for charitable giving, and it’s currently on sale at such a low price that even cheapskate crocheters (like me, usually) who never pay for a pattern might consider springing for this e-book.